Veuon Technologies [P] Ltd, a company based out of Chennai, has launched a First-of-its-Kind HR Mobile App* `VEUON’. 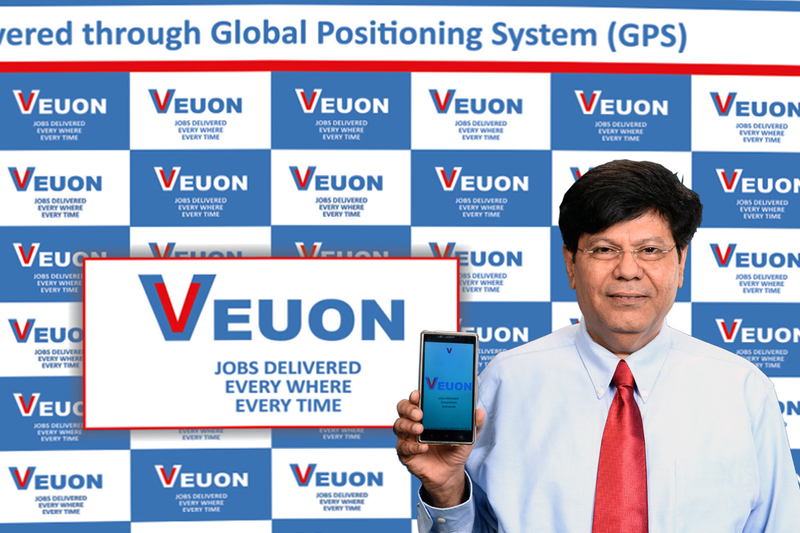 Veuon is a Human Resources Mobile Application, which connects `Job Providers’ (Employers) to `Job Seekers’ (Employees) through Global Positioning System (GPS). The Veuon Platform using innovative cutting-edge technology provides every user with a platform that connects relevant employers to employees and relevant jobs to jobseekers across industry verticals, experience levels and geographies. It is by far the most sophisticated job seeking, career management and talent management platform (soon to be launched globally). The app is currently available for anyone who has one of the following compatible mobile devices: i.e. AndroidTM v2.0 (or higher). Soon to be launched in Apple ios. The App’s easy-to-use format and highly user-friendly design provides very effective and fast connection between Human Resource Managers and Employees anytime and anywhere. The Veuon App is available for download through Google Play Store. It is also available using the browser of Android devices, from the following: https://www.veuon.com. For more information on the HR Mobile App, please visit the above website. The VEUON Mobile HR App is the most sophisticated and comprehensive mobile HR solution available to Job Providers and Job Seekers. It offers real time hiring and reduces the Recruiting cycle drastically. It is a fantastic platform for the Job providers and Job Seekers across all Corporate, Industries, Services and Traders segments to connect. The connect can happen everywhere like Malls, Conferences, Theatres, Airports, SEZ, etc. The Veuon HR APP is poised to revolutionize the way employers and employees connect with one another and start a beautiful and mutually beneficial relationship. Mr. Amarlal G. Nichani, Managing Director of Veuon Technologies [P] Ltd, says “Now recruiting the right candidates for the right companies is just an App-away and also the most inexpensive way. The mobile devices such as Smart phones and Tablets are proving extremely helpful in obtaining the capabilities of next generation HR Solutions and services. We are also in the process of making continuous feedback-based enhancements for improved and comprehensive features to our App”. “Veuon HR Mobile App’s strong functionality and impressive features are its hallmark. The Employees and Employers will experience strong benefits from this Mobile App in the form of easy method of finding jobs for the employees and quick and easier recruiting for the HR Managers,” he added. Nichani Group has Interests in various businesses including film financing, information technology, modest equity holdings (in private and public companies), real estate holdings and real estate funding. The group sold one of its information technology companies, Exinom Technologies Inc., to NEC Solutions America. Exinom was founded in 1995 in New Jersey and served many multinational Fortune 500 companies at the time of sale. The family also owns many properties in southern India and has considerable experience in transacting real estate in India. The Nichani family is also known for its philanthropy. A Charitable Trust was created in the 1960s by the group, which has made contributions towards building hospitals, schools, colleges, meditation centres and libraries.